Over the last few weeks we have been peppering our Instagram account with some of our favourite, real and fictional, style heroes. In homage to these male icons, we have partnered them with a hero piece from the Simpson London collection. The Professor. For the English academic, we have selected our hardwearing Worcester leather Top Frame Briefcase. 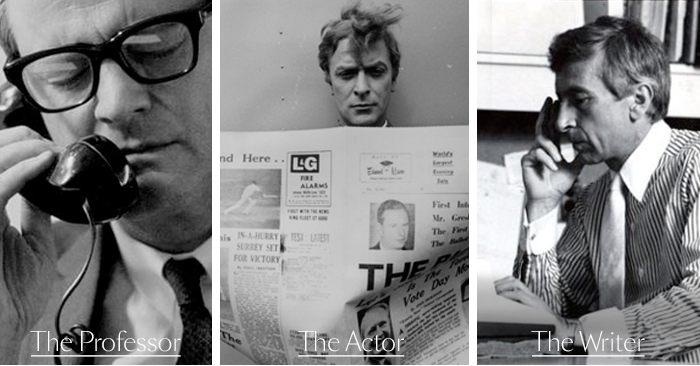 The Actor. Our Timeless black Crocodile Envelope Folder is the perfect accessory for a legend of the silver screen. The Writer. The well respected novelist & journalist, Gay Talese is well matched with our Worcester leather Flap Over Briefcase.